When we think about EdPlus’ role within the larger ASU ecosystem, ASU Online is the flagship within our portfolio of digital offerings. This is largely due to constant innovation driven by Dean Phil Regier and designed to increase student success through a focus on excellence, impact and access. 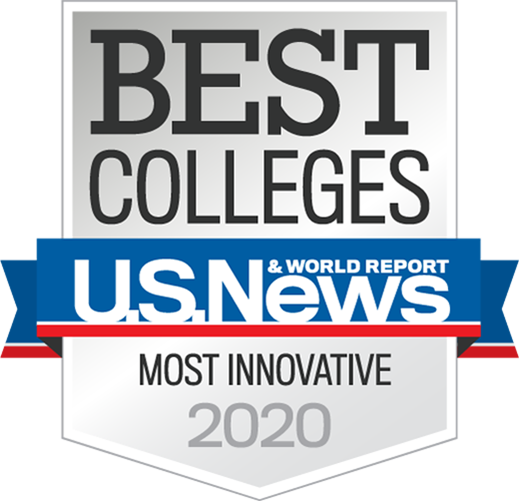 ASU Online is a large part of why ASU has been ranked by U.S. News & World Report, #1 in Innovation for three years in a row. 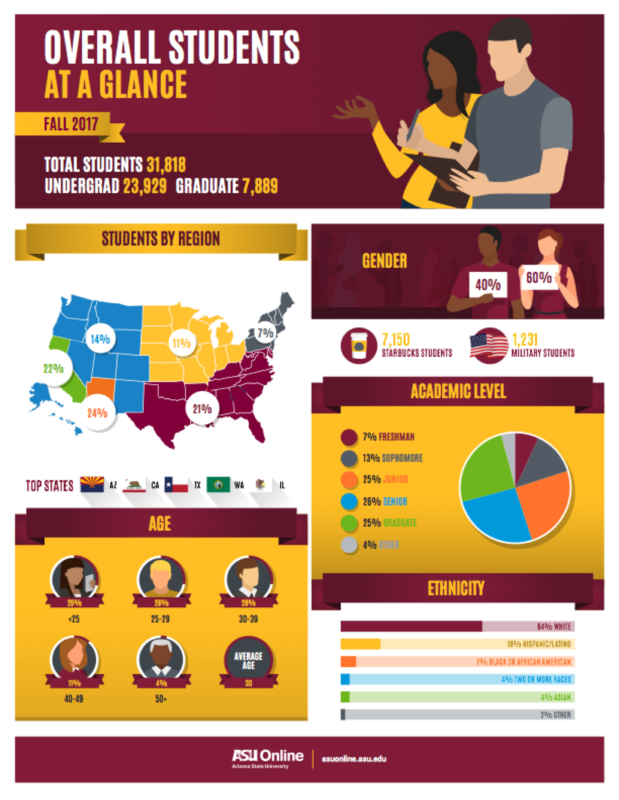 ASU Online continues to grow, currently offering 79 undergraduate programs, 58 Masters, 22 certificates and three Doctoral programs to nearly 32,000 enrolled students. California will soon surpass Arizona as the primary feeder market for ASU Online, which is comprised of 60 percent female and 40 percent male students who are on average, 30-years-old. EdPlus Sr. Marketing Director Casey Ambrose points out that behind our ability to advance our marquis product is a tremendous staff of instructional designers applying technology from 125+ tools; financial and process wizards who change university thinking about admissions and the academic calendar; success coaches who bond with students ensuring that nearly 85 percent retain; researchers, engineers and data scientists who study student success, create and test adaptive technology; and marketing experts who drive student connectivity and public engagement. This effort from EdPlus staff and college faculty are instrumental to our continued success and quality programs. Currently, ASU Online is ranked in the top 5 by U.S. News & World Report for best online graduate business, online bachelor’s, online MBA programs and online graduate criminal justice programs.